Hanny is a researcher for Forest and Climate Program in WRI Indonesia. She supports research, outreach and training on forest and monitoring platform of Indonesia's climate policies. She worked as Helms Fellow in WRI global office in Washington DC with global climate data team. 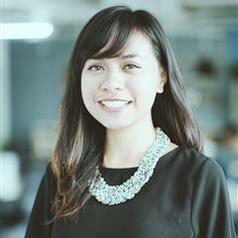 In the global office she supports Indonesia and Global Climate Data Platform. Previously, she worked as a research assistant in Economics Department in Cornell University and energy consultant in New York. She holds a bachelor degree on Natural Resources from Cornell University.